There is a tradeoff when expansive solar farms are built on agricultural land: farmland vanishes, perhaps forever, in return for progress in the promising renewable energy sector. But what if massive solar installations could be constructed away from agricultural land, removing the competition between two vital industries? 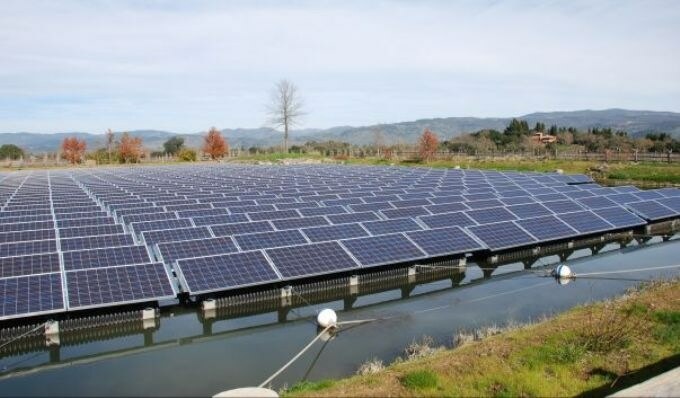 In research published recently in Environmental Science and Technology, scientists at the University of California, Riverside and the University of California, Davis, explored the prospect of creating solar installations on a range of unconventional sites in California’s Central Valley. They concentrated on this region, which consists of 15% of California’s landmass, because it is an area where food production, conservation, and urban development collide. Michael Allen, a notable professor emeritus of plant pathology and biology at UC Riverside and director of the university’s Center for Conservation Biology, said many current solar farms are constructed in unsuitable areas, where they intrude on natural or agricultural lands already under threat from urban expansion. When a piece of land is developed for a solar installation, it is very unlikely to be reverted into agricultural land, even when the lease to the solar company eventually runs out. That’s because flattening and compacting the land, as well as the long-term application of herbicides to keep the site clear of weeds, spoils the land for future farming, for this reason, it is important that we explore alternative sites for new developments as the industry continues to grow. The researchers assessed four unconventional areas: (1) developed areas within agricultural landscapes, such as transportation corridors, rooftops, and parking lots; (2) land that is very salty for crops to grow, either because of naturally occurring salts or buildup from human activities; (3) reclaimed areas that were earlier contaminated with harmful chemicals; and (4) irrigation channels and reservoirs that can accommodate floating solar panels. Combining all these prospective sites, the team located more than 8,400 Km2 (equal to 183,000 football fields) of the Central Valley’s 55,800 Km2 footprint as non-agricultural, developed land ideal for huge solar installations. These areas have the potential to produce sufficient solar energy to surpass California’s 2015 projected demands by 13 times for photovoltaic (PV) power (plants that use solar cells to directly change sunlight into electricity) and two times for concentrating solar power (CSP), which are plants that turn sunlight into thermal energy. The study highlights the wealth of sites for solar energy generation that don’t conflict with farmland or protected areas, since farming is an incredibly energy-intensive industry, the land sparing sites we identified could provide a win-win situation for both farmers who need more energy and the energy providers that wish to serve them. Rebecca R. Hernandez, assistant professor of earth system science and ecology at UC Davis. The paper is titled “Land Sparing Opportunities for Solar Energy Development in Agricultural Landscapes: A Case Study of the Great Central Valley, CA, USA.” Madison Hoffacker, a graduate student in the Energy Graduate Group at UC Davis, was the paper’s first author. This approach appears to be another opportunity of additive value ! And this is a very attractive idea !